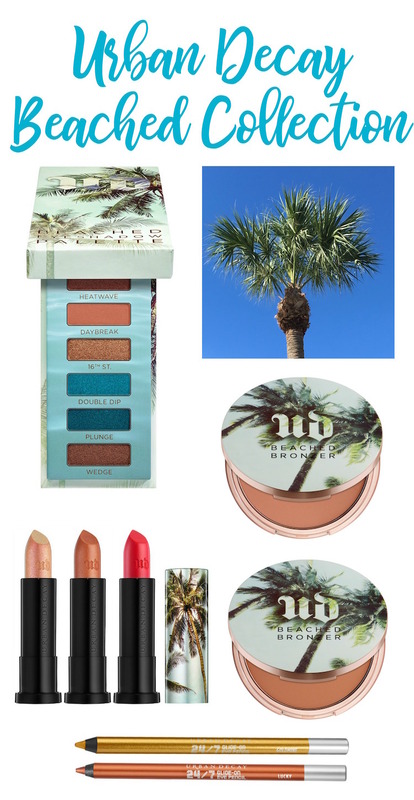 Although I have many Urban Decay favorites, the Beached Collection is my favorite to date! 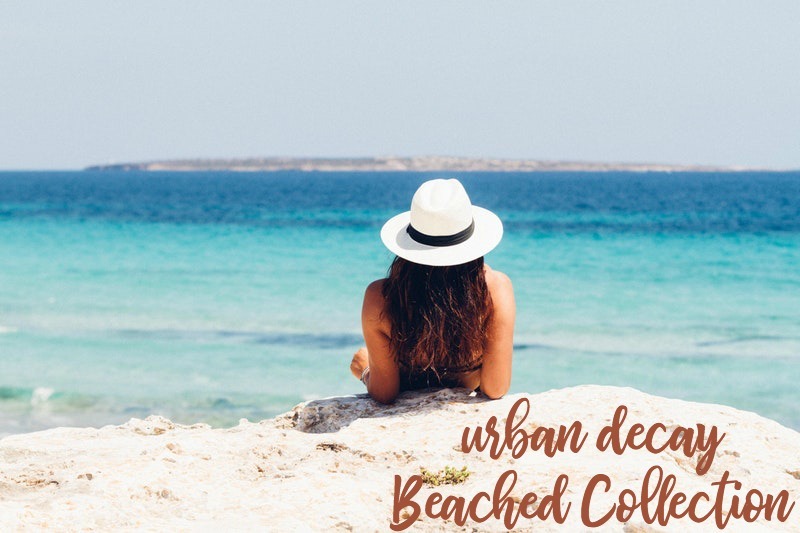 Each piece of the Urban Decay Beached Collection performs beautifully. 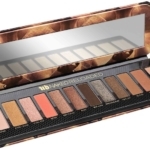 I love the Beached Eyeshadow Palette…the colors are exactly what I wear all summer long. 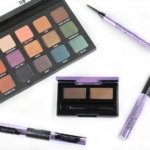 Neutrals and pops of color…this palette has it all. 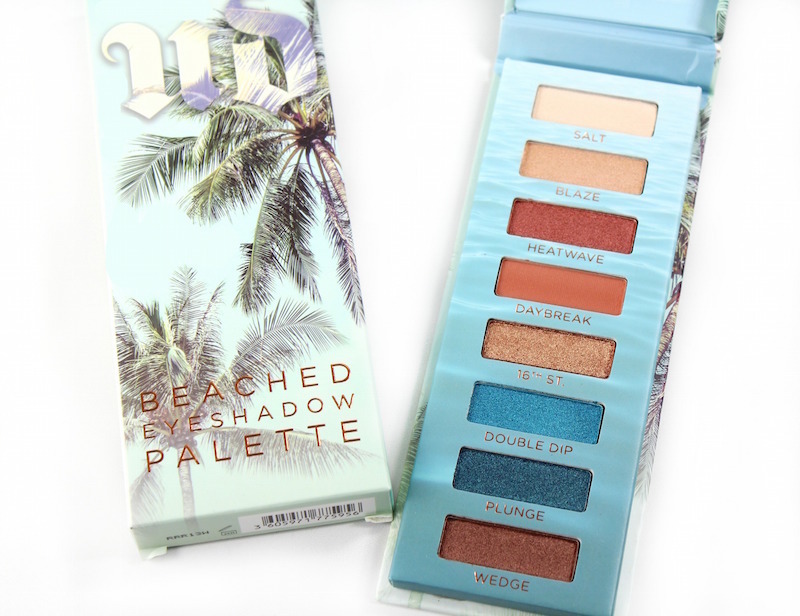 The Beached Palette has gorgeous matte and metallic finishes in eight shades, including golden bronze, copper and of course, the aquatic turquoise of Double Dip and Plunge. 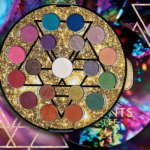 The shadows are like velvet…so pigmented and blendable. 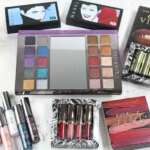 Add in the packaging, perfect size for travel, and this is my palette for the summer. I’m obsessed! The Beached 24/7 Glide-On Eye Pencils are the perfect shades for your eye looks this summer. 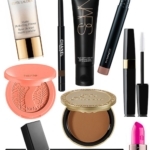 Metallic, neutral and long-lasting. What more could you need? The new Beached Vice Lipstick shades are popping for summer. 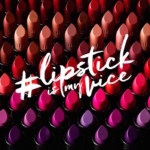 There’s something for everyone, whether you like a bronzy lip (Heatwave), a peach-metallic shimmer best used as a topper over another lippie (Tower 1) or a coral-red bright (100 Degrees). 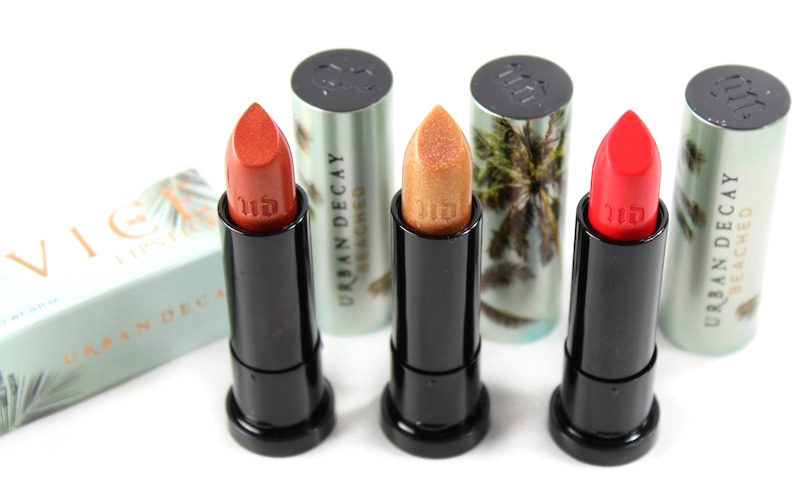 Find one you have to have, because the outer palm-tree packaging for the lipsticks is worth the price! 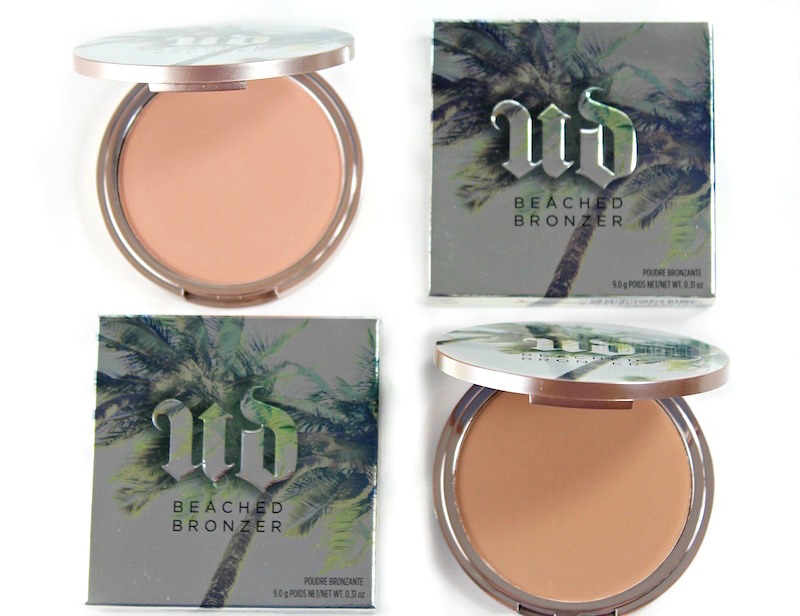 The Beached Bronzers in Sunkissed and Bronzed are a repromote, and it’s worth noting that if you want a matte bronzer, this is the one to pick. Set your makeup look with Chill Makeup Setting Spray; it actually chills the surface of your makeup. And in the summer heat, it’s an essential. 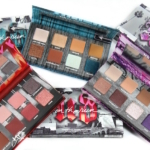 The Urban Decay Beached Collection is available exclusively at ULTA (stores and online), and urbandecay.com. 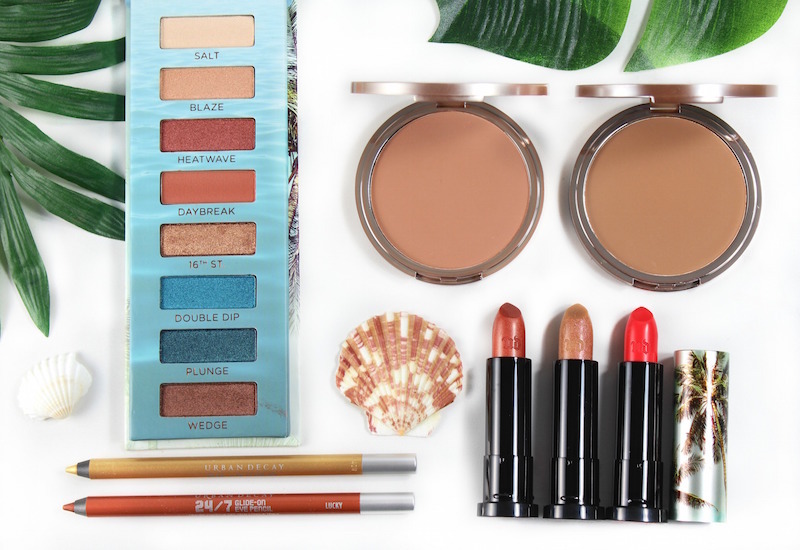 I adore the beachy, vacay vibe to this collection…don’t miss picking this one up!